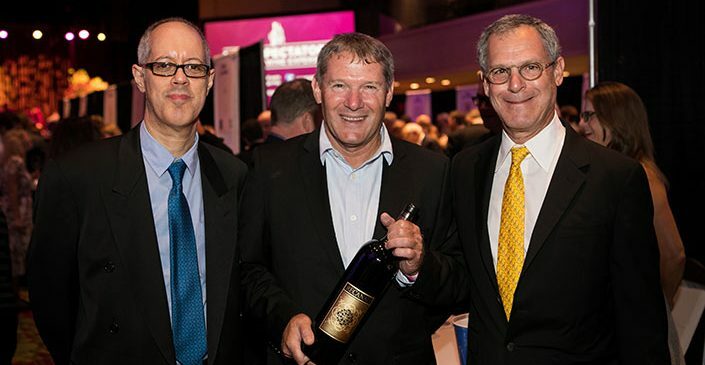 Marawi 2014 was the first commercial wine produced in Israel from this grape, and it made waves worldwide. Now it is already in its third year. 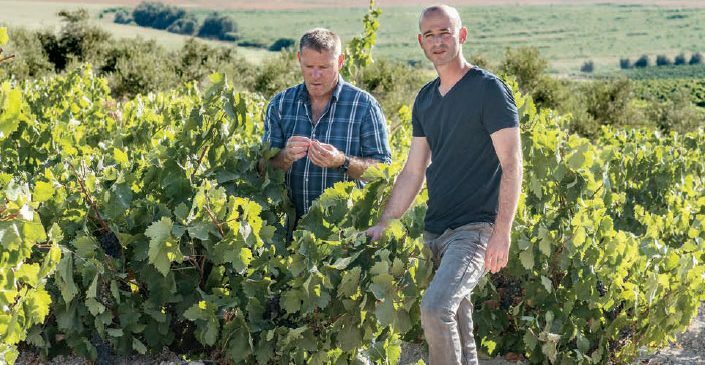 Even now, when people in the wine business, who have already tasted thousands of wines, visit Israel, this is usually the first Israeli wine they ask to taste, for the simple reason that they’ve never encountered this variety. Still, many in the local industry are doubtful that the Israeli wine industry should adopt endemic grape varieties for wide-scale production. 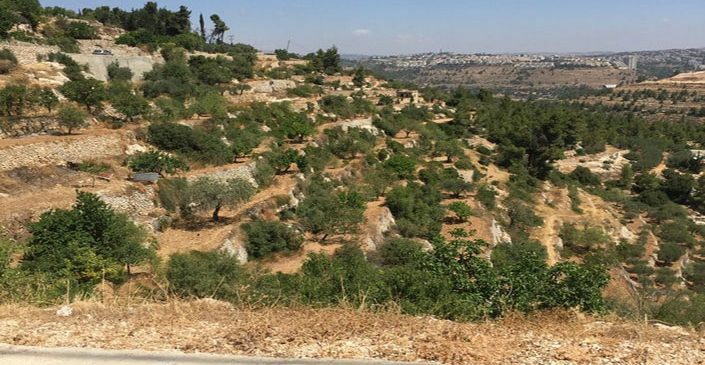 Bittuni, apparently named after the town of Beitunia in the Ramallah area, is supplied to Recanati by the same Palestinian farmer who grows the Marawi grapes. Like Marawi, this variety survived because the grapes are tasty. It also has a genetic makeup that differentiates it from thousands of other grape varieties. The source of Marawi and Bittuni is not the French grapes sent by Baron Edmond James de Rothschild from France in the late 19th century, but grapes that flourished in the indigenous climate and soil and survived with the changes that took place over time. Judging by the first harvest of Bittuni, which is still experimental, this variety produces a wine that is entirely different from the Israeli wines to which we are accustomed; it has a light color, a low percentage of alcohol and a miniscule presence of tannins. At the moment it’s hard to imagine this variety producing a wine of exceptional complexity, but it can definitely play a role among wines that are pleasant and easy to drink, which are so lacking in the Israeli portfolio. Many countries long for indigenous varieties that will differentiate them from dozens of other countries producing various wines from Cabernet Sauvignon, Merlot and Syrah grapes. 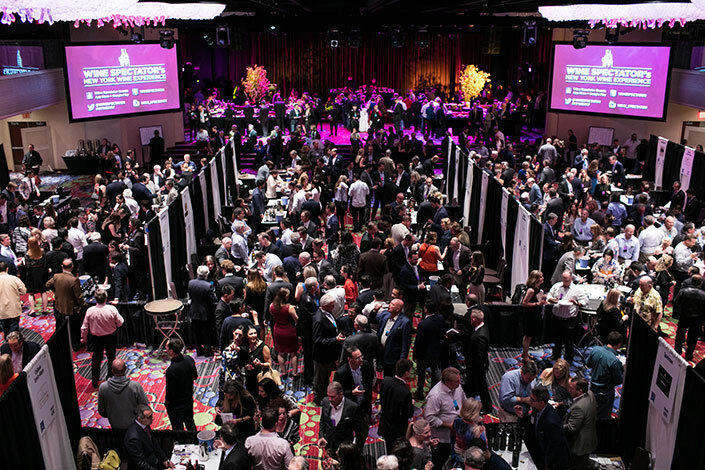 Commercially speaking,varieties that are unique to a particular region and identified with it arouse great interest worldwide and enable a glimpse at the local wine industry. Regardless of quality, we can assume that a wine bar or restaurant abroad that wants an Israeli wine would prefer an indigenous variety to one produced locally from international grape varieties – no matter how good it is. The culinary world is also of cultural and historical significance. Archaeological finds, including dozens of wine presses and tools for preparing wine, point to the diverse wine industry that existed here in ancient times. 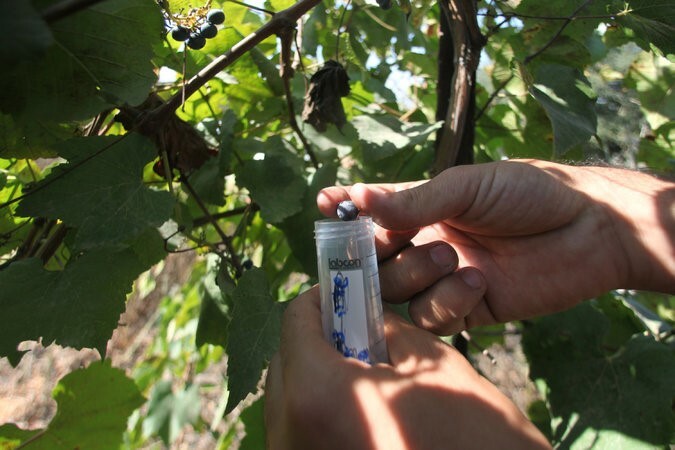 It’s not clear whether varieties discovered in an ongoing study at Ariel University in the West Bank are the same ones that were used for winemaking in those days. What is known is that their genetic makeup is local and unique. The preoccupation with indigenous varieties bring to the surface the tension between the desire to make the best possible wine and the desire to produce wine with a local, authentic and unique character and identity. 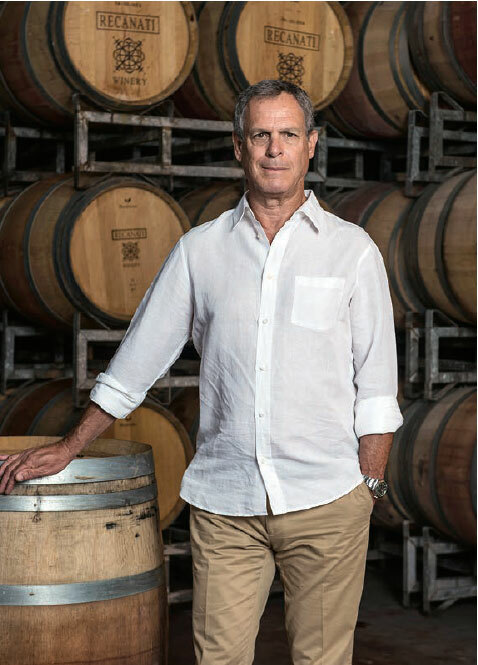 For the past three decades Israeli wine, based on well-known varieties such as Cabernet Sauvignon, Merlot and Chardonnay, has steadily improved. In recent years, we have also seen more good so-called “Mediterranean” wines: Carignan, Grenache, Roussanne, Marsanne and Viognier. In the near future these will continue to be the main grape varieties in Israel, and the industry should continue to be based on them. At the same time, if we have been fortunate enough to find local varieties, they should be studied and developed, so that producers can create the best possible wines from them, even if they won’t compete in quality with the world’s finest wines. After all, when you’re sitting lakeside in Switzerland you drink local Chasselas wines, so why shouldn’t tourists sip Marawi and Bittuni at the Tel Aviv beach? Although Recanati is a large commercial winery, they plan to continue investing in Marawi, Bittuni and perhaps other local varieties, even if in small quantities: no more than 3,000 bottles a year, which explains their high price. 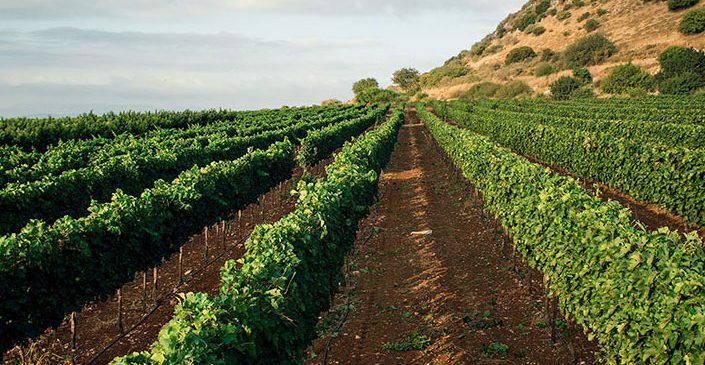 Recanati has planted a vineyard of Marawi in the Western Galilee, which should bear fruit in a few years. If it succeeds, Recanati will be remembered as a pioneer. If not, there’s always Cabernet and Merlot. Bittuni grapes from the Hebron region, 50 percent fermented in whole intertwined clusters, nine months of maturation in old barrels. From a first encounter you can note the light color reminiscent of wines from Gamay or Pinot Noir grapes, initial fragrances of red berries, flowers, delicate seasoning and a light-to-medium body. With a very sparse presence of tannins and its soft structure, Bittuni, in its present incarnation, is light and pleasant to drink, presenting good fruit flavors, freshness and mainly a balance among the many ingredients. I don’t imagine it will reach exceptional complexity or concentration of flavors, but as a drinkable local wine (only 12 percent alcohol) it provides a welcome addition to the local offerings. Grade: 88. Price: 99 shekels. It’s the third Marawi harvest, and already we can see progress and learning in light of the experience accumulated by winemakers Gil Shatsberg and Kobi Arbiv. Compared to the 2015 harvest, the fragrances of the fresh white fruit are the first to stand out. On the palate, the volume and concentration of the fruit indicate technical work that included maturation on less sediment and less intensive betonnage than in the past. As in the case of the two previous harvests, the key word for Marawi was and remains freshness, and this is apparently the right time to treat it less as a curiosity and more as an easy-to-drink white wine, which is indigenous, legitimate and original. Grade: 89. Price: 99 shekels.